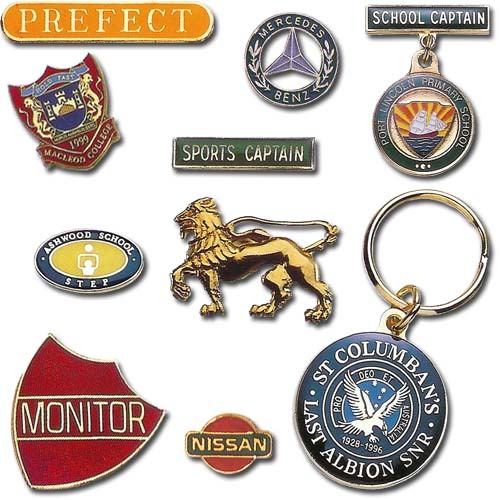 Why a Precision Badges franchise is… Your Key to Success! Precision is a long established group whose phenomenal success in Australia and New Zealand has culminated in the establishment of their Global Headquarters here in the UK. We are now looking to establish a network of 55 franchises across the British Isles..
As a Precision Badges franchisee you will be working in a fascinating industry doing varied and creative work, even though you may have no artistic inclination and may currently have no idea how our products are made. As featured on the UK Franchises website. Precision Badges have a proven track record over 22 years in business, and franchising since 1992. No franchise failures — a good indication of a genuine, proven system. Proven products that have stood the test of time and are still growing in popularity. Huge potential market — includes every business, every school, every club and every government body. That means many thousands of potential customers in your exclusive territory. Big list of prestigious clients including IBM, Kodak, Goodyear, Lions International, Shell Oil, The Royal Australian Mint, and BHP Billiton (World’s biggest mining co.). You sell mainly bespoke products to schools, clubs, companies and government bodies — no need to deal with individual consumers. Your territory is exclusive and has far more prospective customers than any one person could handle. 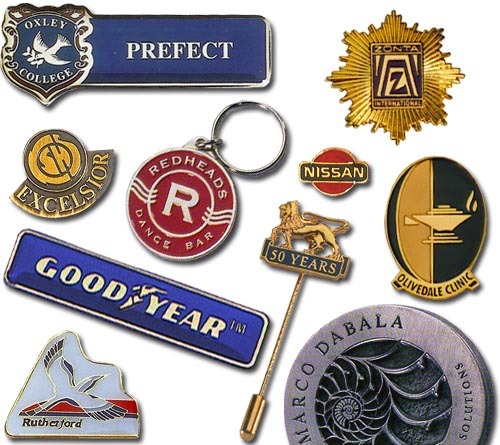 By specialising in badges and related items you develop a reputation as the people to contact for badges — don’t make the mistake of joining the crowded ranks of non-specialist promotional products suppliers. Our highly successful marketing program will generate the sales you need. You won’t be left wondering how to achieve sales. Generous level of ongoing support — daily consultation if you wish. We will be available to give you close support. You won’t need to use high-pressure sales techniques — most sales are made to people who have asked to talk to you. No specific experience or qualifications needed in art or sales, but computer literacy is a must. Our comprehensive operations manual tells you everything you need to know. Regular company news bulletins to keep you up-to-date. You need to work during business hours only. The work is enjoyable and varied, utilising your intelligence and initiative, but with help when you need it. You can create a valuable saleable asset of increasing value. Very high profit margins — you should make about £500 profit out of every £1,000 in sales, even after paying royalty. Very low overheads. Work from home. Very small investment in stock as most orders are for bespoke products. Enjoy the massive buying power of our international group. Repeat business is a prominent feature of our group’s sales. Repeat orders are even more profitable than the original order. Involves no manufacturing – instead, import from our reliable Asian suppliers. Low working capital requirement, with access to the highly coveted but rarely obtained privilege of importing on monthly account, arranged by us. 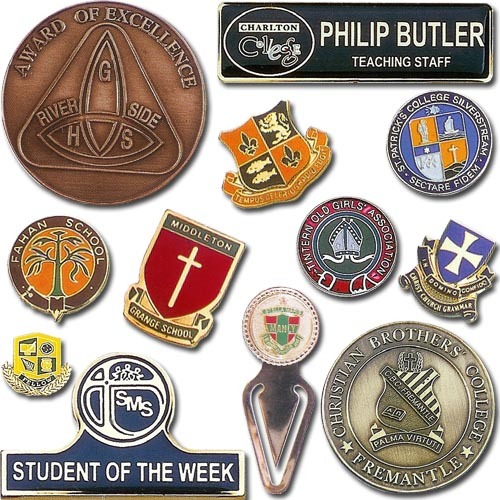 Access to our range of standard school badges. We have set up the world’s biggest range of over 1,000 titles and to duplicate this range in Britain would cost you at least £120,000 in die charges. Low start-up cost of just £19,990 + VAT. You will have noticed that many companies (including franchised groups) supply badges (along with thousands of other “printable” products like pens, T-shirts and balloons). We don’t regard them as “competition” as they have no hope of matching our prices, quality and service within the niche market of badges and other enameled products. Precision therefore has no franchised competition. Please consider other franchises but ask yourself how they compare with the Precision Badges system, which features all the essentials for success that business advisers insist that you need. You too can be a part of the Precision Badges success story!